Mary-Helen Norris, who handles the press releases for 18thWall, interviewed me back in November in anticipation of the Horror Crossover Encyclopedia. Some of my answers dove into discussing the TVCU, so I thought it was worth reprinting the interview here. A representative from the publisher interviewed me today, and I thought the questions were so good, that for marketing purposes, I should post here my answers. 18thWall: Let's get started with the fact that you've been working on this for two years? 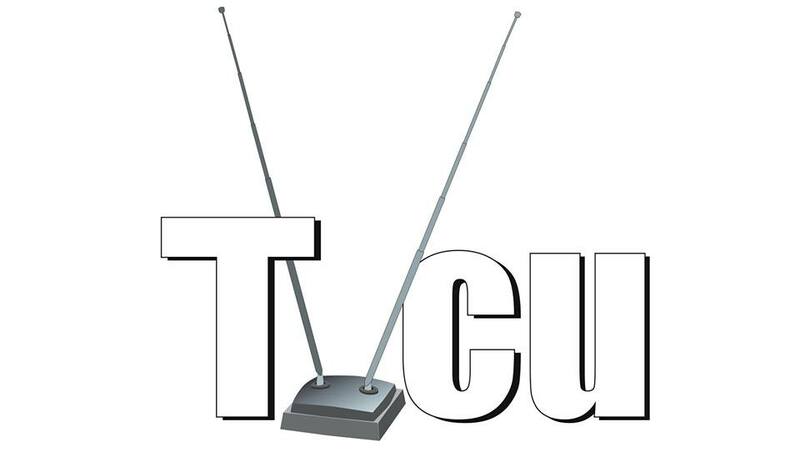 James mentioned to me something about the TVCU and how that was the foundation of your book. Tell me a little bit about how you got started with the project. Robert E Wronski Jr.﻿: I first started noticing crossover connections in 1978, first starting keeping track of them in 1980. In 1984, I first coined the term TV Crossover Universe. In 2007, I started turning those notes into a MySpace blog, which I later turned into it's own website, TelevisonCrossoverUniverse.com in January 2011. I started writing the book, which is THE HORROR CROSSOVER ENCYCLOPEDIA, in April 2012 and wrapped it up and submitted it to 18thWAll on September 7, 2014. By the way, it is HORROR CROSSOVER ENCYCLOPEDIA. If you leave out "Crossover", it would be a misleading title. 18thWall: Playing off of that, what made you want to do it in the first place? Robert: As I said, I've been fascinated with crossovers since I was a kid. In 1978, my parents gave me an issue of Marvel's adaption of Scooby's All-Star Laff-a-Lypmics, my first crossover. Immediately, I was hooked on the idea of different characters from different series interacting and existing in the same reality. Soon, I started noticing that certain TV shows shared realities. Happy Days, Lavern and Shirley and Mork and Mindy. All in the Family, the Jeffersons, and Good Times. I started keeping track of the groups that were connected in a notebook. I did this for years. Years later, when I discovered the internet, I learned that there were others who shared an interest in fictional crossovers. I thought I was the only one. I had found a few websites and joined a discussion group. The discussion group had a lot of crossover enthusiasts but crossovers were not the main focus of that group, so I created my own Crossovers Forum on Facebook, which became really popular really fast, which I wasn't expecting. Those other websites, and the popularity of the Crossovers Forum, prompted me a few months later to turn my years of notes into a website. That too became really popular, more than I had expected. Going back in time, I started writing my own fiction when I was five, though mostly orally in the early days. When I was 10, a teacher really noticed I had a knack for writing, and I dreamed of being a writer, but my parents convinced me that safety and security in my career path were more important, so I left the writing behind me. However, in my late 30s, it turned out safety and security still led me to poverty, unable to find a job with my degree. So I figured, if I was going to be poor anyways, I might as well do what I love. Knowing fiction writing wasn't my forte, but having a real knack for research and observational writing, I decided to take a risk and become a full-time writer, turning the blog into a book (and hopefully a series of books, each on a different specific genre relating to crossovers). Robert: I am a geek, and I love all things geek. I knew I wanted to write about specific genres for each book, but I wasn't sure which one to start with. So I posted a poll in the Facebook forum, listing several of my favorite genres, asking everyone to pick which one they'd like me to tackle first. Horror was the top choice of the majority. I'd been a fan of horror since I was a kid. Though my parents didn't let me watch R rated movies, I was still able to watch the Creature Double Feature every Saturday afternoon with my father, getting exposed to the Universal and Hammer horror, as well as 1950s B sci-fi and Godzilla. I was also big into horror comics, like House of Mystery. Back then, any comic you bought at a news stand was safe for kids. Later, as I got older, I was able to get into other horror. I read my first Poe and King in fifth grade. When my family got HBO in the 1980s, I got a lot of exposure to 1970s and 1980s horror. I'm a big fan of slashers and anything paranormal. I actually grew up in a haunted house, so ghost stories were of particular interest to me. I also loved magic. As a teen, I turned away for a time from my Catholic upbringing when I started heavily getting into reading about witches. And vampires. Something about the lore of vampires has always held a special interest for me. Despite my love of horror, my greatest horror love, which would be H.P. Lovecraft, wouldn't be discovered until about 15 years ago. As a now, sort of Christian, sometimes my Christian fellows will ask me how I can be a fan of horror and maintain Christian values. I explain, most horror is about good triumphing over evil. A great evil comes and usually, the meekest and purest find the strength to overcome the evil when no one else could. Horror forces ordinary people to face their nightmares, and those with courage and conviction will overcome. Unless it's Lovecraft, then you'll just go mad or die. 18thWall: What can readers expect when they pick it up? Robert: This book was written to demonstrate that many horror series share the same reality. To do this, I started with one story as the center of this Horror Universe. That story was Abbott and Costello Meet Frankenstein. This film has the Universal versions of Dracula, Frankenstein, the Wolf Man, and the Invisible Man. From there, I then expanded the universe by finding all other horror series that have had crossovers with those four. And those ones brought in made up the second layer. Then, I sought out crossover connections with the second layer, to create the third layer. And so on and so forth. Though I include crossovers between horror series and non-horror series, non-horror series do not get used to connect to more crossovers. Otherwise, it would soon lose its focus on horror. So every single series mentioned in my book can be traced back to Abbott and Costello Meet Frankenstein using a "Six Degrees" methodology. All the entries are posted in the order in which they were released. Thus, 19th century literature like Mary Shelley's Frankenstein starts us off and we end with stories from 2014! Each entry lists the title of the story, and who produced it. It lists the release date, and the in-story setting. It then lists all the horror crosses that can be found in the story, and then separately, all the non-horror crosses. I then give the reader a summary of the story, followed by my notes on the story. The notes give more details on the crossovers, and how the story fits into the overall canon of the Horror Universe. In some cases, when warranted, I will through in some little known bits of trivia or my personal observations on the quality of the story. This is not a fictional book. As the title implies, this is a reference guide to fictional crossovers within the horror genre. I take an "observe and report" approach. I include each story based on the what you see in the film or read in the story. Only when there is contradicting evidence do I try to create a theory using in-story references to reconcile the contradictions. And every inclusion is based on the "six degrees" methodology. I do not include things just because I like them, nor keep things out that I don't like. I've very objective. And though this is a reference guide, don't expect this to be a boring textbook. If you love horror and/or fictional crossovers, this is a must have. This is jam packed with fun information. And because of my style of writing, my snarky, satirical commentary finds its way in. This is anything but a dry read. 18thWall: This one isn't really a question, it's more of a do you want to add anything spot. Add things, and when you send me your answers, I might send you a few more questions.